The Association of Iraqi Private Banks concluded Thursday the "Accounting for Financial Institutions" course, in which 20 trainees took part. The director of administration and training in the Association of Private Banks, Ahmed Hashemi, during the closing session, which was attended by "economy News", "The Association of Iraqi private banks happy with the courses organized by the banking sector because it rises in this important sector." "The Association of Private Banks focuses on the quality of its courses as well as its cooperation with competent lecturers, both local and foreign." Hashemi listened to the interventions of a number of participants in the session and pledged to meet the Association of Iraqi private banks for those observations. 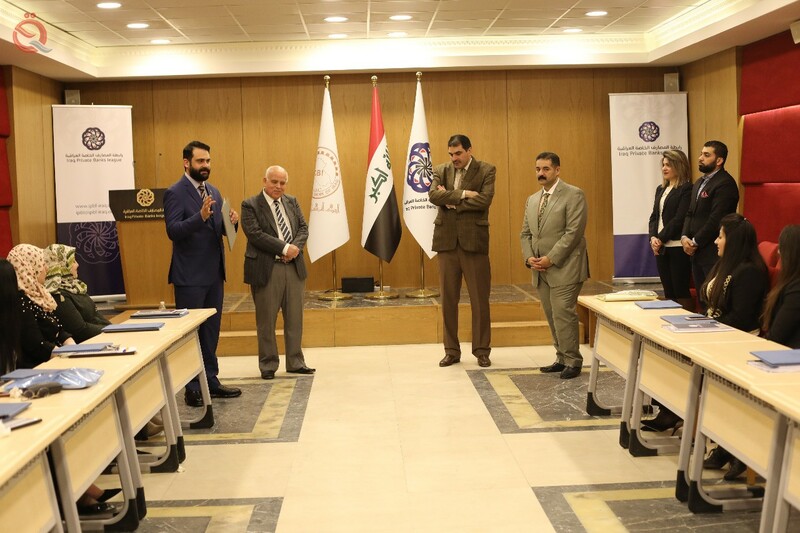 In turn, the assistant director general of the Accounting Department of the Central Bank of Iraq, Anwar Sarraf, that "the sessions organized at the headquarters of the Association of Iraqi private banks consistent with the standards of the Central Bank." He added that "the certificates obtained by participants in these courses reflect an important indicator for the acceptance of them as employees in banks." It is noteworthy that the Association of Iraqi private banks signed, in November last, a memorandum of understanding with the Center for Studies in the Central Bank of Iraq to develop mutual understanding in the practical areas of professional and training applied.